Serving the whole person after the pattern of Christ. Armor of Hope Ministries is a 501(c)(3), non-profit. We partner with remote villages located in northwestern Honduras in Central America. Our focus is to alleviate human suffering in impoverished areas through sustainable, faith-based development. We work with local villages to develop their skills and knowledge in health, hygiene, education, and vocational training. AOH operates a small center that consists of a dormitory, a clinic and an education center (from left to right). We also operate a home for elderly residents who were once homeless or unable to care for themselves. These are the people that saved you—twice! That is how Javier’s mother re-introduces Javier to clinic workers each time he visits. Our journey with Javier began when he was brought to us as an infant. He was weak, sick and malnourished. He was diagnosed with bronchitis and severe malnutrition. Javier underwent months of treatment to heal and regain his weight. to diligent efforts of AOH staff, Javier was resuscitated, given immediate treatment, and transported to the hospital. It is easy to see why the AOH clinic is valuable to Javier’s family. Without it, Javier may not be around today. 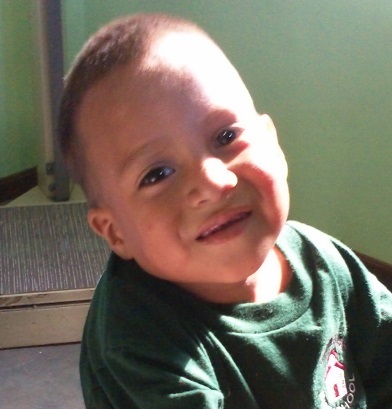 AOH serves thousands of patients each year through our village clinic, many being lifesaving situations like Javier’s. Casa de Paz is a special place where we care for the elderly of El Sauce who were either homeless or unable to care for themselves and had no family to care for them. The residents came from unspeakable situations, but are now cared for by the loving staff of Casa de Paz. 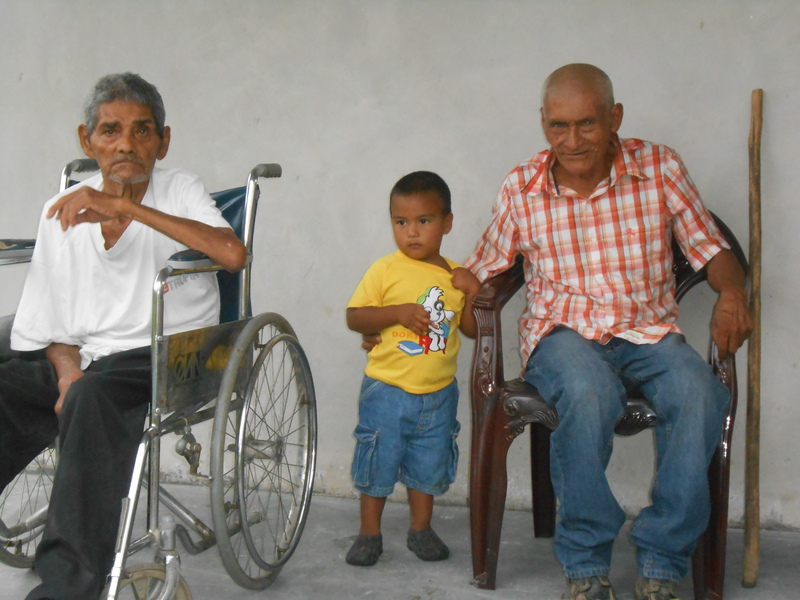 Young Jonathan comes to visit with Rumilio and Ermogenes, two residents of Casa de Paz. AOH encourages people to practice their faith through two simple concepts: 1) Read God's Word and do what it says, and 2) Live everyday life in such a way that it draws people to you and causes them to desire what you have. We believe God's Word speaks for itself and does not need outside interference. The result is a beautiful, vibrant, growing community of believers who take ownership of their own faith and are developing their own leadership from within their communities. Their faith is practiced within the context of their own culture . AOH works to provide education in the areas of vocational training, health and hygiene, and safe water usage. We also partner with local organizations and schools to help raise the level of education among our residents. We plan on opening our education center in 2017. It will serve all ages with a library and hands-on learning center. Our desire is to increase availability of learning and the opportunities education brings for the future. Claudio, Yul and Brayan using their acquired welding skills. The practice of humbling oneself before God is something learned from reading scripture.